You are here: Home / Currently Featured / Evan Goldstein – Square Roots, Full Circle – Take Two! The spectrum of wine personalities in the United States encompasses some of the most passionate and deeply knowledgeable individuals to be found in any profession. From compelling wine writers to high-profile sommeliers, from visionary importers to devoted wine cellar advisors, from tireless brand ambassadors to wholesale agents and to those who provide the tools and messaging for their success, the wine industry is home to many accomplished actors! There are those whose deep knowledge, deriving from years of methodical and disciplined study in tandem with innumerable tasting experiences, enables an almost encyclopedic command of the intricacies of sight, smell, taste and place that combined, make for a formidable arsenal worthy of the unflinching instincts of the most seasoned sleuth. Of these, a select few embark upon a journey to the most elevated plateau of the wine profession in an attempt to grasp the elusive ring of Master Sommelier to which fewer than 140 individuals in North America can lay claim. 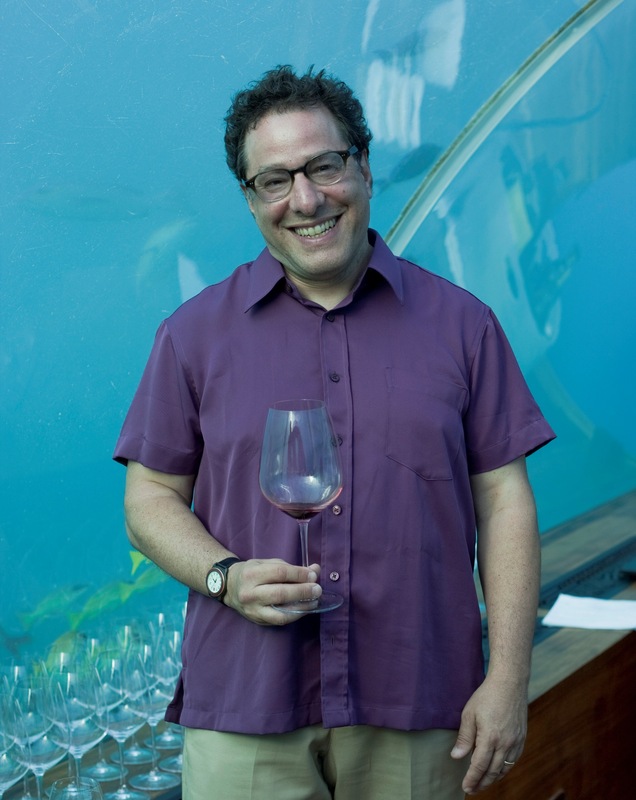 One such wine sleuth is the highly accomplished educator and writer, Evan Goldstein. 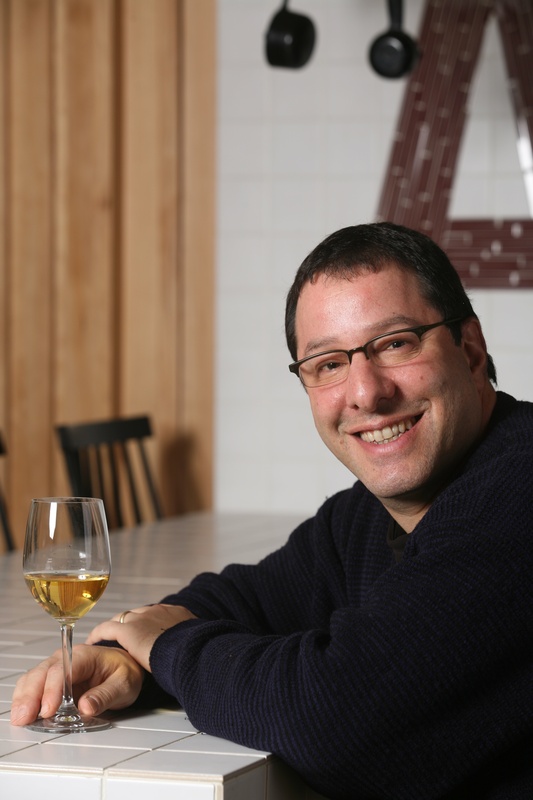 I recently spoke with him about his love of wine, his passion for food and the professional path that has informed both over the last quarter century. STTG: From 1990 to 2007, you were employed by numerous, highly visible, beverage-industry companies in the role of chief educator. Can you speak a little bit about this component of your wine career, what these positions entailed and the added value you derived from this chapter in your professional evolution? EG: Passing the MS opened up a lot of people’s eyes and gave us much more exposure but I started to realize as opportunities to speak and lead conferences came up that all of our efforts at our little microcosm of Square One were not necessarily extrapolating out into the real world. Not to be hyper critical but you’d be traveling around and oh my God, the level of wine service, the level of knowledge and the level of dining room service that was out there at times made you scratch your head. As I entered my seventh or eighth year at the restaurant I decided that I had two choices: either I could stay there forever and be perfectly happy doing that or do something more altruistic if you will, and give back to the industry. In late ’89 early ’90 I stepped back from the restaurant and was fortunate enough to be asked by Sam Bronfman to put together what was then known as the Sterling Vineyards School of Service and Hospitality that over the next seven years would educate over fourteen thousand people in about ten different countries! The programs were one, three and five-day courses involving food, food and wine, wine service, dining room service and all aspects of wine and wine production. That was what I became known for – Evan, he’s the education guy. Seagram was sold and I went on to occupy similar types of roles for Diageo and Allied-Domecq, then Beam Wine Estates. Just before Beam was sold (and I would have the opportunity to then work for Constellation), I was in the middle of concurrently writing my third book, Daring Pairings. It was obvious to me that I wasn’t going to make my deadline without a leave of absence, which I asked for and was granted. Two months later, the company was sold. As I was finishing the book and wondering what my next move would be, Limeng Stroh, (my now-business partner) and I were having lunch and she showed me her business plan for Full Circle Wine Solutions. She said, “I can do all the business side of this stuff but the rest of this wine stuff is not me and I need to bring on somebody to do it. If you’re interested that someone could be you.” I thought to myself, “if you don’t try you won’t know,” and I knew that if it didn’t work out I could always go back to what I was doing before. Here we are some six plus years later and the company is thriving, coming off of its best year ever and showing no indications of slowing down. STTG: You have had many industry accolades including being nominated four times as a finalist in the category of “Outstanding Wine & Spirits Professional” for the prestigious, James Beard awards as well as being named, “Wine Professional of the Year” by Sunset Magazine in 2006 among others. What significance do these types of awards hold for you? EG: First of all, anyone who would tell you that they weren’t humbled and gratified by any kind of recognition would be insincere. Needless to say, all those things are important. Yet, they’re all so different and what particularly resonated for me, with the James Beard award nominations and Santé (magazine) recognition, where a lot of input is solicited, is that your peers make the ultimate decision. So rather than just being anointed by a panel or an individual, your peers vote and decide who is acknowledged. If everything you work for and strive for is accepted as leading in what you’re doing to the point where they want to recognize you for it, that’s incredibly powerful! That is the most important thing of all. Whether you end up being a finalist or actually win something is not as important as being singled out by your peers for whom you have such respect. STTG: You have written extensively and have just penned a new book, Wines of South America: The Essential Guide to be published next fall by UC Press. This seems to diverge from your past efforts in that those were more focused on pairing wine with food versus exploring a specific wine region of the world. How does your approach to this type of writing differ from your previous efforts? I thought about taking a couple of different directions like matching wines with ethnic foods or vegetarian food but the more I thought about it I realized that I was happy with what I had done so to put out a third food and wine book at the time and frankly even today would have felt forced. I really felt like I said what I needed to say between those two efforts. So I made it clear that I was not going to write about food and wine, which was probably as much of a shock to everybody as it was to me when I had that revelation. So the question of course was, “well, what do you want to write about?” I began taking inventory of what was out there asking myself, “did the world need another how to taste wine book or another introduction to wine book? The answer was really no. The whole idea of trying to come forward with something is to produce a book or a work that is going to be useful but that in an increasingly competitive world of publishing, fits a white space – what’s not out there. I was struggling with it and my wife said, “well, I don’t know if there’s anything out there but lord knows you’re down in South America often enough, there must be a book there.” I thought about it and realized that it was an interesting concept because you can buy a book about Chile or Argentina but if you only want to buy one book about both countries you are going to struggle. If you want to learn about what’s percolating out there in the worlds of Uruguay, Brazil, Bolivia and Peru there’s nothing. So, if somebody could actually tie all of that together, that could be an interesting book. When I did the competitive research on it, my intuition was quite right in terms of there not being an up-to-date, contemporary resource that covered the continent in as much depth as I wanted to do. The people at UC were equally shocked that there was nothing out there and I was given the green light and started working on it in early 2012. STTG: Aside from South America, what do you see as some of the more exciting developments in the wine industry this year (2014)? EG: One thing I’ve noticed is that people are becoming more adventurous in both the regions of origin towards which they gravitate as well as their grape choices which are becoming more eclectic. There is more interest in things like Grenache Blanc, Albariño or Carignan where those were considered more lunatic or fringe just a few years ago. Whether it’s Brazil, Uruguay, Turkey, Greece or Slovenia for example, there is definitely an interest in discovering some of these newer places out there that have had perhaps long wine producing traditions but that have had minimal exposure outside of their home countries or local regions. Another thing that I have noticed out there is a lot of interest around everything from packaging to distribution of wines. Keg wine for example is becoming much more mainstream than it was before and much more universally available which is great. There are different types of serving sizes that are gaining more traction. We were doing wines by the taste or half glass for example at Square One which was relatively radical in the mid-Eighties but is now becoming more mainstream which is good, because people like trial without commitment. STTG: Currently, you are President & Chief Education Officer of Full Circle Wine Solutions – a global wine and spirits education firm. What was the genesis of this company and can you give us a snapshot of its various components as well as your role there? EG: What Full Circle has really been all about is a very broad and extensive group of clients. The thing that ties them all together is that we’re in the education business. Ultimately, given that knowledge is power, the more educated people are the more effective and successful they are going to be at their job and therefore the more profitable they’re going to be. We believe that education is above all a marketing/sales tool when used correctly and we help to educate different audiences depending on the various objectives or needs of a specific client. It seems to have gained steam. We’ve had the luxury and pleasure of working with and representing clients from all over the world. We’ve worked with regional wine groups, wine closure groups, trade research organizations and the Wine Institute on some projects. All of them in the end are linked by an educational objective that they are looking for us to help them with. STTG: Finally, in a few words, what is it fundamentally that drives your passion for wine? EG: What probably keeps me the most motivated about wine is that in my soul of souls, on a real visceral level, I love the way wine tastes. I love the way wine makes my food taste better. I love the physicality of it. On the other side, what I love about wine is that it pulls together so many things – history, agriculture, artistic interpretation, language. It brings all of these together and is much richer than just any bottle that you pull off the shelf. The other thing I love about wine is that it humbles you. Every year is a new vintage. The wines in the bottle change. You can’t own it. For as big as the piece of the iceberg is that you think that you might have command over, the piece under the water is a lot bigger than that. I think that I would have a hard time being as immersed in another segment of the beverage industry because wine has a very unique spot out there. If you had asked me thirty-odd years ago if I would still be doing this today, I don’t know what I would have ventured as an answer. Yet, I am as excited about wine today as I was when I started doing this full-time in 1981!